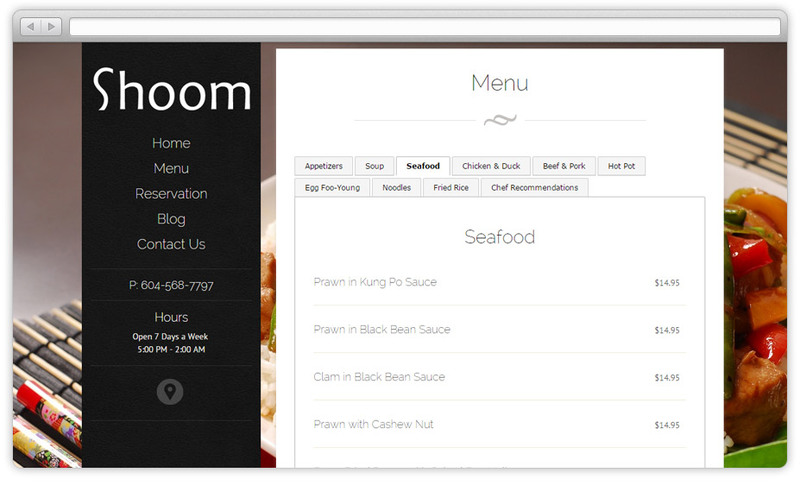 Katrina’s Design has partnered with Shoom – Vancouver Chinese restaurant for WordPress based website. 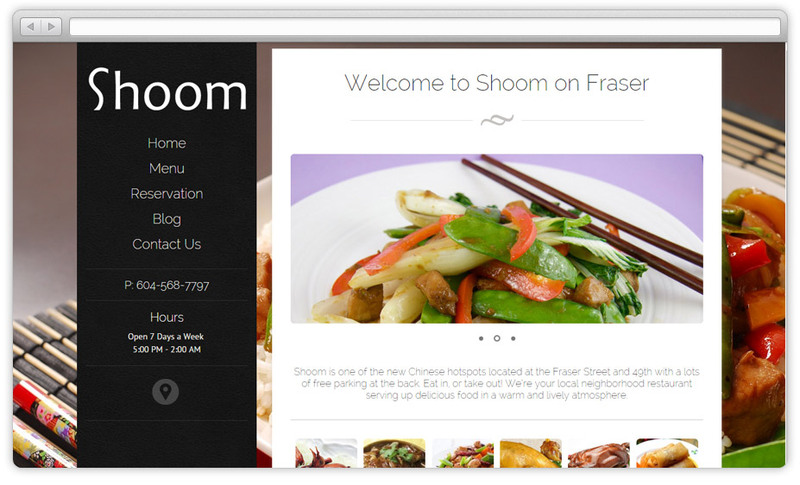 Shoom is one of the new Chinese hotspots located at the Fraser Street and 49th with eat in, or take out. Online table reservation.